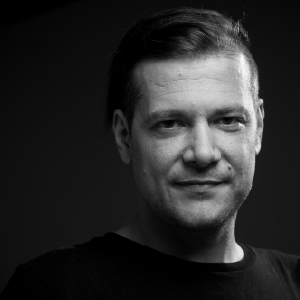 Nowadays one of the Managing, and Creative Director of Pozitivan ritam, company based in Pula and Zagreb, started by enthusiasts, active in building and promoting independent music scene, with more than 25 years of experience. Annual residence is at unique Fort Punta Christo, summer club and festival venue near city of Pula, where he started Seasplash and Slurp! festivals, becoming more popular worldwide due to running Outlook and Dimensions festivals through partnership with English promoters. Besides specialising in Event Management & Production, after years of dedication and hard work, Pozitivan ritam now carries different brands; Seasplash platforma, PDV Records x Merchandise, Sirup venue, educational platform and free workshops – EduSplash (…), as well as different in-house services, such as: PR/Promotions, Transports, Booking, etc. One of the freshest thing being Pločnik – concept place opened in Zagreb, living room filled with events and day-to-day activities, combined with a bar, small venue and a record store on 3 different levels, in special interior design. Currently working hard on planning new events, and (re)opening clubbing venues in Pula and Zagreb by the end of this, or beginning of the next year.